Abstract: As William H. Rueckert notes, Essays toward a Symbolic of Motives is one of the three texts that one must work through to know what Burke’s A Symbolic of Motives is about. One way to work through these texts is to consider theoretical difficulties Burke encountered in his Symbolic project. The chief difficulty revolved around whether to divide the project into two, Ethics and Poetics, and to theorize each in a separate book, or to combine both of these into one unified Symbolic. Burke seems both to have moved toward such a division and to have resisted going all the way in the hope of finding a basis for unification. In the end, he left us neither two books nor one, but this failure may ironically help us to better appreciate the theoretical rigor he sought to achieve in his “motive” books. As Rueckert notes, ETSM is the earliest of the three known versions of the Symbolic (“Introduction” xi). It is based mainly on a 1955 Burke text listing articles envisioned at the time as parts of the Symbolic.2 The other versions are unpublished manuscripts: Poetics, Dramatistically Considered (PDC) and A Symbolic of Motives (SM)3. As David Cratis Williams shows, SM follows PDC4 chronologically. PDC seems complete, but the “contents” page does list things “still missing,” whereas SM is clearly incomplete.5 “[T]o know what Burke’s never published A Symbolic of Motives is all about,” Rueckert concludes, “we have to work our way through all three of his versions of it” (“Introduction” xiv). Burke evidently didn’t give up on the Symbolic until 1978, after which he thought of it as possibly a collection of essays, like Philosophy of Literary Form and Language as Symbolic Action, rather than as a coherent theoretical work (Rueckert, “Kenneth Burke’s” 115, Kenneth Burke 291). Given all the years Burke devoted to the Symbolic, his failure to complete it is no doubt the effect of multiple causes arising in different contexts. There are, moreover, many Burkes, not just Burke the theorist (Rueckert, “Some”). Interactions among these Burkes may very well have played a role in Burke’s failure to see the Symbolic through to publication (Williams 20, 30; Jay 360; Rueckert, “Introduction” xiii-xiv). How the many Burkes may have interanimated one another over Burke’s long career is the task that only a great biographer, with the imagination to invent a new biographical form, is likely ever to complete. Burkeans may have to await such a work for a version of the Symbolic story satisfactory to all. Ironically, moreover, attention to Burke’s apparent theoretical failure in his Symbolic project may result in greater appreciation of the rigor he achieved in his best theoretical work. An autodidact, Burke operated independently of the protocols of academic writing in general or those of any discipline in particular, so to academic readers Burke often seems undisciplined. Even friendly readers sometimes seem to feel it’s necessary to forgive Burke and cut him some academic slack. Examples of this appear in Wayne Booth’s 1974 Critical Inquiry essay, to which Burke responds, “[I]t’s the places where Booth forgives me that make me uncomfortable. At those times Booth makes me scare myself” (“Dancing” 31). But if Burke really needed the forgiveness Booth offers, it’s difficult to see why he wouldn’t have been content to throw together material from the three versions of the Symbolic he left us to round out the Grammar, Rhetoric, and Symbolic trilogy that he promised. Whether the “character of the individual poem” and the “character of the individual person” should be theorized in separate books or together in one thus appears to have been Burke’s main theoretical problem. Separation sometimes appeared to be the logical way to go, but a final commitment to it seems to have been difficult. Why separate? Why resist separation? Focusing on the “poem” suggests a possible answer to the first question; focusing on the “person,” a possible answer to the second. Each possibility requires a separate section. "Character of the Individual Poem"
In the middle decades of the twentieth century, debates about the nature of the “poem” were dominated by formalists (preeminently the New Critics but also the Neo Aristotelians at Chicago), who valorized intrinsic analysis of the literary work over extrinsic analysis of its connections to its author or historical period. This formalism separated “poem” from “person.” During the decades of their ascendancy, formalists transformed the academic study of literature, turning it away from positivistic historical study of the backgrounds of literature to “close reading” of literary works. “The Intentional Fallacy,” the title of an essay dating from 1946 (Wimsatt), became a commonplace term used to sharpen the separation of the work from its author. Even when Wayne Booth advocated consideration of the author in his seminal 1961 book, The Rhetoric of Fiction, he felt it necessary to do so in the form of an author “implied” by the text that he distinguished from the real person who authored the text (75). “Prophecy after the event,” used dyslogistically here, later becomes, as we’ll see, a eulogistic term for Burke. While this structure appears to make room for a formalist analysis (level one), in practice it stops short of a truly formalist conception of the “poem,” as Burke himself implicitly acknowledges in “Poetics in Particular; Language in General,” an essay to be considered below. Much of ETSM is structured around this tripartite structure. As Rueckert observes, what most distinguishes ETSM is its dominant focus on analyses of individual texts and writers; such analysis continues in PDC and SM, but it is subordinated to an overarching concern with a theory of tragedy and the cathartic process (“Introduction” xviii). All three levels of the structure appear in the Whitman chapter, “Policy Made Personal,” which is divided into three parts, with each part focusing mainly albeit not exclusively on one of the three levels. “Vegetal Radicalism” limits itself to levels two and three. “Ethan Brand” limits itself to one and two. Focusing on Joyce’s A Portrait of the Artist as a Young Man, “Fact, Inference and Proof” confines itself almost exclusively to level one, providing Burke’s most thorough example of “indexing” a single work. These essays illustrate how Burke may have, in his initial conception of the Symbolic, combined consideration of “poem” and “person” in one structure. Two essays in ETSM that anticipate Burke’s later emphasis on tragedy are “Othello” and “The Orestes Trilogy.” The “Orestes” chapter actually comes from PDC, where it’s the only chapter that focuses on a single text. In neither the “Othello” nor the “Orestes” chapters, however, is “the thinking of the body” as prominent as it eventually becomes in the later work on catharsis. It’s possible that there is an anticipation of this “angelism” in ETSM in “Three Definitions,” where each definition is narrower than the one before it, with the last focused on a single work: (1) lyric in general, (2) Platonic dialogue as a literary species, (3) Joyce’s Portrait. “Three Definitions” is thus a companion to “Fact, Inference and Proof,” which focuses on level one in ETSM’s tripartite structure of analyses. But even though the focus is on level one, there are still a few places where connections surface to suggest that the “personality” in the text is equivalent to the “personality” of the author (51, 58, 61). “Fact, Inference and Proof” doesn’t draw the sharp line between ethics and poetics that appears in “Poetics in Particular” because it conceives even the individual text as a congealed form of “personality.” Limiting oneself to level one simply limits the evidence available to “index” the “equations” that define “personality.” The Burke ready “to use all that there is to use” is free to use all three levels or to limit himself to two or one, as ETSM illustrates. Burke’s incorporation of a formalistic poetics into his theorizing coincided with his theorizing of a “poetic motive,” equated to an “unmotivated motive” (“Poetic Motive” 54). An anticipation of this motive, albeit a bit roundabout, appears in ETSM in “A `Dramatistic’ View of Imitation,” a key essay for the related terms “perfection” and “entelechy” that play such an important role in Burke’s later writings. These terms appear earlier, but they take on a new significance after this essay.10 Furthermore, as Rueckert notes, this “imitation” essay is notable because it reappears in both PDC and SM as well (xvi). Burke uses “entelechy” to interpret Aristotle’s conception of mimesis or imitation. Burke’s argument is that imitation isn’t a photographic copy of life but a “perfection” of it. Literature doesn’t give us copies of real villains or heroes, but of the “perfect” villain, the “perfect” hero, etc. From this conception of imitation, it is but a short step to ask, “what exactly would be the `perfection’ of a symbol using animal?” The answer is “the poetic motive”: “If man is by nature the symbol using animal, then it should follow that, for the full manifesting of his essence, he must find some intrinsic satisfaction in the use of symbols simply for the sake of symbol-using” (“Poetic Motive” 54). “The Poetic Motive” thus adds a new level to the “person”: in addition to the level of “personality” (ethics), there is the level of the entelechial perfection of the symbol using species (poetics).11 But as we’ll see, the “poetic motive,” by adding a new dimension to the “character of the individual person,” also helps to create a new theoretical possibility in which language and body can join to house ethics and poetics together. Chapters entitled “The Poetic Motive” appear in both PDC and SM.12 It’s the final chapter in PDC and the first in SM. This reversal parallels one that occurred in the writing of the Grammar. In correspondence, Burke writes, “The five terms with which the work now begins were settled upon toward the end of the first version, and the book was turned around accordingly” (letter to Cowley: see Jay 292; see also “Questions” 333).13 It is hard to imagine why Burke would have taken such trouble if, as has been suggested, his basic mode of writing was “parataxis” (Booth, “Many Voices” 179) or “fragmented” and “nonlinear” (Condit 207). How important could the order of the whole be if his mode of thought was paratactic, fragmented, nonlinear, etc? It makes more sense to think that Burke “turned around” his whole manuscript to find the architectonic structure that he needed to make his theoretical case. The shift in the position of the “The Poetic Motive” in PDC and SM suggests that he tried to do something similar for the Symbolic but in this case the shift didn’t work. That, however, may simply be another sign of his commitment to theoretical rigor in his major works. Nothing less than “perfection” would do. We’ll return to this point in concluding. Bourgeois naturalism . . . [believed] an individual’s `identity’ is something private, peculiar to himself. And when bourgeois psychologists began to discover the falsity of this notion, they still believed in it so thoroughly that they considered all collective aspects of identity under the head of pathology and illusion. That is: they discovered accurately enough that identity is not individual, that a man “identifies himself” with all sorts of manifestations beyond himself, and they set about trying to “cure” him of this tendency. In “individualism,” individuals are “consubstantial” with one another in a culture that valorizes the attributes of individualism, and such individuals are not “ancestral” but “constituted” as they acquire these attributes. Contrastingly, at the level of the unique body, there is no consubstantiality (my food goes into my stomach and no other even if the food I eat is a sign of the culture that shaped me) and this body, in its biology, is independent of culture. With (1) the “body” thus serving as the principle of individuation combined with (2) the “poetic motive” as the linguistic principle distinguishing the symbol-using “species” of animal, Burke had in place a theoretical framework that could conceivably have produced a Symbolic to complete the trilogy he originally promised. The Grammar “deals with a level of motivation which even wholly rival doctrines of motives must share in common” (442), as illustrated by the way rival doctrines of “substance” can be derived linguistically from different pentadic choices. The Rhetoric deals with language in its partisan uses: the “Human Barnyard” (23). And the Symbolic, by theorizing the combination of motion (body) and action (language) in each individual symbol using animal, would give the trilogy an ontological rock on which to stand. This rock would privilege poetics (“poetic motive”), but it would be too foundational simply to stand besides ethics, as if the two could be equal partners requiring independent theorizing in separate books. In a Symbolic based on this model, ethics would be subordinated to the ontological conditions that make possible the “equations,” appearing in both “poem” and “person,” that define personality. But the most important sign is the prominence in PDC and SM of both the “poetic motive” and “the body.” From the standpoint of the poetic motive, the assumption is that the intrinsic satisfaction in symbol using is enhanced when symbol using is deployed to resolve, through the cathartic process, social tensions that resist easy resolution. From the standpoint of the body, the assumption is that catharsis involves the body, but Burke’s thinking about the precise nature of this involvement seems inconclusive insofar as he leaves us with two competing formulations. The irony is that the formulation that is most convincing is the one that gets the least attention by far. Burke’s conception of the cathartic process is built around “pride,” “fear,” and “pity,” with “pride” standing for the quality in the tragic protagonist that is on the slope toward “war” because of the resentment it arouses in others. It is the source of the social tensions that the protagonist embodies. It might be more precise, Burke suggests, to name this quality after each protagonist: “oedipism,” “antigonism,” “promethean,” etc. (“On Catharsis” 348). While this quality is a source of social tensions, when it is embodied in a complex protagonist, it can be mixed with enough positive qualities, so that the tragedy “make[s] us fear for the very class of citizen against whom we might otherwise feel angry,” and this fear, in turn, prepares us to feel pity when catastrophe befalls the protagonist (“Catharsis” 131-32). Tragedy ends with pity, but pity is on the slope toward love. Comedy, by contrast, moves farther toward peace and love (“Catharsis” 132). So far as the body participates directly in the producing of catharsis by the organizing of symbol systems, its two typical expressions are laughter and tears. The striking thing about both these modes of release is their nature as completions, fulfillments. . . . Also, although as responses to works of art they arise out of purely symbolic processes, at the same time they are both intensely physical. Thus, there is a sense in which they perfectly bridge the gap between man’s nature as sheer animal and his nature as sheerly `rational’ or `spiritual’ (as symbol-user). (“Catharsis” 107-8). Ironically, in the context of catharsis, the phrase “the thinking of the body” thus turns out to be something of a misnomer. If the body is not “causative” but simply the source of imagery of bodily catharsis that the poet should use “to be thorough,” the “thinking” is really the poet’s not the body’s. “(Nonsymbolic) Motion,” also included among the texts Burke mentions in one of his discussions of the Symbolic (Letters 1/24/78), begins with Burke putting his “motion action pair” in competition with “such distinctions as body mind, spirit matter, superstructure substructure, and Descartes’ dualism, thought and extension” (140). At this philosophical level, “the thinking of the body” is left out of consideration, but the body as Burke’s principle of “individuation” is front and center. The “self,” Burke argues, must be “defined in terms of polarity,” grounded on one side in “the centrality of the nervous system” and on the other in cultural identifications (144-45). The two sides can be linked by “DUPLICATION” (145), but evidently nothing more. Transcending the division between the two sides would require something “like that which orthodox Western religious imagine, in promising that the virtuous dead will regain their `purified’ bodies in heaven” (162-63). Some “art heavens” try to do something comparable (163-64), but one is hard pressed to find in this essay any way to move beyond duplication to genuine integration. One can conclude that what Burke had in mind for the Symbolic is evident from what he left us, but it is doubtful that one can determine from this material what he would have found satisfactory enough to publish. We only know for certain that he worked and reworked his material to try to satisfy himself, just as he did with the Grammar, as noted earlier. The Rhetoric seems also to have undergone similar major revisions before Burke was satisfied. In a letter to Richard McKeon in November 1947, Burke writes that he is headed to Florida with ample material for the Rhetoric. He writes McKeon again the following February to report that he has completed 100,000 words and that happily everything seems under control. The book, at that point, had two parts structured dialectically: one devoted to the upward way, covering rhetoric and dialectic, the other to the downward way, covering what he dubs the “world of publicity.” Obviously major changes occurred between this substantial draft and the book we know. Burke thus wrote for both the Grammar and the Rhetoric a great deal of material that could conceivably have ended up, like the extensive material he wrote for the Symbolic, fragmented in articles and incomplete manuscripts. But in the case of the first two, Burke solved his theoretical problems and found the architectonic structure he needed the latter dependent on the former whereas in the case of the Symbolic he evidently did not. Burke’s main focus was devising methodologies of interpreting textual material. He seems to have worked by going back and forth between (1) interpreting specific texts in extraordinarily close detail and (2) reflecting on and developing the theoretical assumptions underlying his interpretations.21 This combination is unusual: people good at detailed interpretation are often suspicious of abstract theory and theorists often never get very detailed in applying their theories. Burke, by contrast, seemed to rely on an ongoing dialectical interplay between theory and practice to strengthen his work at each level. In the case of his “motive” books, Burke undertook to develop not only elaborate methods of interpretation but to justify these methods with architectonic structures of complex, philosophical argument. Such grounding requires the “plot” structures he found for the Grammar and the Rhetoric, but evidently not for the Symbolic. 1 For Rueckert’s list of all the Burke letters he received discussing the Symbolic, see “Kenneth Burke’s” 114-15. For these letters, see Burke, Letters. Some details from these letters also appear in Rueckert’s comprehensive list of texts that might have been incorporated into the Symbolic (Kenneth Burke 288-92). 3 Throughout, “SM” will be used to refer to the Symbolic of Motives manuscript, while “Symbolic” will refer to the whole project encompassing ETSM, PDC, and SM, but never completed in a book Burke published. 4 Williams’s recounting of this chronology is based on extensive consideration of Burke’s correspondence from the 1950s and 1960s. Rueckert’s “Kenneth Burke’s `Symbolic of Motives’ and `Poetics, Dramatistically Considered’” presupposes that SM was written before PDC, but in an Appendix, Rueckert generously recounts that Williams’s essay, written without the benefit of a copy of the SM manuscript, convinced him that SM is the one that comes later (“Kenneth Burke’s” 113-14). Internal evidence adds additional support for Williams’s argument. On SM 106, a reference to The Rhetoric of Religion, published in 1961, presupposes that it has already appeared. By contrast, Burke sent Rueckert a copy of PDC in 1959 (Letters 8/8/59; Rueckert, “Introduction” xii). 5 For the “still missing” list, see Williams 22, or Wess, Kenneth Burke 244. Portions of both PDC and SM have been published. In addition to the “Orestes Trilogy” chapter from PDC in ETSM, see Unending Conversations 35-80 (from PDC) and 81-98 (from SM). See Williams 22-29 for PDC’s table of contents along with a valuable discussion of the revisions Burke made in most of the chapters he published in article form. See Rueckert “Kenneth Burke’s” 117 19 for the table of contents in SM. 7 This passage does appear on ETSM 77-78, but it contains some errors, so my quotation comes directly from page 45 of the original: “Ethan Brand: A Preparatory Investigation,” Hopkins Review 5 (1952): 45-65. 8 An anticipation of this fourfold conception of language appears in ETSM in “The Language of Poetry,” which builds on Cicero’s three “offices of the orator” (inform, please, move) to which Burke adds a fourth to deal with the ethical, which he relates to Aristotle’s conception of the speaker as one of the means of persuasion (41). By the time Burke gets to “On Catharsis, or Resolution,” however, he seems no longer to need Cicero to provide a framework for its presentation. 0 Burke uses level three, which shifts back and forth between “poetics in particular” and “language in general,” in “Formalist Criticism: Its Principles and Limits,” where he settles scores with some of his formalist antagonists, principally Cleanth Brooks, but also Rene Wellek and R. P. Blackmur. 10 In a 1979 essay, Burke traces anticipations of his uses of the terms “perfection” and “entelechy” all the way back to The Philosophy of Literary Form, where, as he puts it, “I hadn’t yet quite got to it” (“Symbolism” 220). 11 The “poetic motive” also appears in the later “Poetics in Particular,” which separates the poetic motive from the other uses of language more sharply (28 29) than does “The Poetic Motive,” which centers the poetic motive in literature, but seems to find a degree of symbol using for the sheer pleasure of symbol using, the defining characteristic of the poetic motive, in other dimensions of language as well. 13 Some evidence of this reversal survives in the book itself. Burke tells us that he started with material under the title “The Constitutional Wish,” envisioned simply as an introductory chapter to his “material on rhetorical strategies and symbolic acts” but that he started working backwards as he found that he needed to justify starting with the constitutional material so that the chapter grew into a book with the constitution material appearing toward the end (Grammar 323). The pentad itself, Burke tells us, “seemed to cluster about our thoughts about the Constitution as an `enactment’” (Grammar 340), thus emerging last of all. The whole manuscript was then reorganized to arrive at the book we know today. 14 Remarks in PDC indicate that Burke saw that work as part of the Symbolic, not as one book separate from a book on ethics. By contrast, SM begins by presenting itself as a poetics separate from ethics, but it is never completed. 15 Looking back retrospectively at this earlier individualism Burke can see how it exemplifies a “gang morality.” Neal may try to distinguish himself even from those who share his views, but he can’t distinguish himself from those who, like himself, similarly do all they can to distinguish themselves from those who share their views. Individuals who do all they can to so distinguish themselves are, in this respect, all alike, loosely linked members of a “gang.” In the Rhetoric, especially in his material on Veblen Burke shows how such individuals are really conforming with one another in trying to “out-imitate” one another in being the “perfect individual” who is different from everyone else (131). 16 Anticipations of this formulation appear in the Rhetoric (e.g., 130). 17 A possible complicating factor is the shift, as Rueckert argues, in Burke’s interest from poetics to logology (Kenneth Burke 235 36). The relation of motion and action is, of course, as relevant to logology as to poetics, but the Symbolic was for Burke always the place where literature would be the focus, so this shift in interest may have diminished the importance of the Symbolic in Burke’s mind. 18 In PDC, a chapter called “The Thinking of the Body” takes up 104 of the manuscript’s 391 pages; this chapter is the basis for “The Thinking of the Body” chapter in Language as Symbolic Action. In SM the topic of “the thinking of the body” takes up the final 49 of this incomplete manuscript’s 269 pages. 19 An example of the “demonic trinity,” independent of its later matching with the tragic trinity, appears in ETSM (94-95). This matching evidently begins while Burke is working on the Oresteia. As noted earlier, ETSM includes “The Orestes Trilogy,” which is the chapter in PDC that is the basis for “Form and Persecution in the Oresteia,” published in 1952 and among the essays in Burke’s 1955 list on which ETSM is based. While “Form and Persecution” is shorter than “The Orestes Trilogy,” it also adds a passage, in both the 1952 original (378) and the later reprinting (126), in which Burke sketches where his work on the Oresteia fits into the work in progress that became PDC, and this passage indicates how the matching occurred when he wondered what might be bodily analogues for pride, fear, and pity. He calls this matching a “calamity” initially. In SM he renames it a “break through,” which is the term Rueckert uses (“Introduction” xviii ix). 21 Even Burke’s notorious interpretation of Keats’s “Beauty is truth, truth beauty” as “Body is turd, turd body,” which Burke concedes he probably should have saved “for fun at a drunk party” (“Dancing” 24), is an interpretation deploying methodological assumptions Burke could defend with rigor (“As I Was Saying” 20-24). Booth, Wayne C. “The Many Voices of Kenneth Burke, Theologian and Prophet, as Revealed in His Letters To Me.” Unending Conversations 179-201. ---. The Rhetoric of Fiction. Chicago: U of Chicago P, 1961. Burke, Kenneth. “As I Was Saying.” Michigan Quarterly Review 11 (1972): 9 27. ---. Attitudes toward History. 3rd ed. Berkeley: U of California P, 1984. ---. “Catharsis Second View.” The Centennial Review 5 (1961): 107 32. ---. “Comments on Eighteen Poems by Howard Nemerov.” Sewanee Review 60 (1952): 117-31. ---. Counter-Statement. 3rd ed. Berkeley: U of California P, 1968. ---. “Dancing with Tears in My Eyes.” Critical Inquiry 1 (1974): 23 32. ---. “A `Dramatistic’ View of Imitation.” Burke, Essays 5-18. ---. Essays toward a Symbolic of Motives, 1950 1955. Ed. William H. Rueckert. West Lafayette, IN: Parlor P, 2007. ---. “Ethan Brand: A Preparatory Investigation.” Burke, Essays 77-102. ---. “Fact, Inference and Proof in the Analysis of Literary Symbolism.” Burke, Essays 49-73. ---. “Form and Persecution in the Oresteia.” Burke, Language 125-38. Reprinted from Sewanee Review 60 (1952): 377-96. ---. “Formalist Criticism: Its Principles and Limits.” Burke, Language 480 506. ---. “Goethe’s Faust, Part I.” Burke, Essays 283-310. ---. A Grammar of Motives (1945). Berkeley: U of California P, 1969. ---. Language as Symbolic Action. Berkeley: U of California P, 1966. ---. “The Language of Poetry, `Dramatistically’ Considered.” Burke, Essays 36 48. ---. 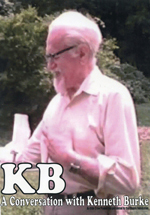 Letters from Kenneth Burke to William H. Rueckert, 1959-1987. Ed. William H. Rueckert. West Lafayette, IN: Parlor P, 2003. ---. “Linguistic Approach to Problems of Education.” Modern Philosophies and Education. The Fifty-Fourth Yearbook of the National Society for the Study of Education, Part 1. Ed. Nelson B. Henry. Chicago: U of Chicago P, 1955. 259 303. Abridged version in Burke, Essays 261-82. ---. “Methodological Repression and/or Strategies of Containment.” Critical Inquiry 5 (1978): 401 16. ---. “Mysticism as a Solution to the Poet’s Dilemma.” Spiritual Problems in Contemporary Literature: A Series of Addresses and Discussions. Ed. Stanley Romaine Hopper. New York: Institute for Religious and Social Studies, 1952. 95-115. ---. “(Nonsymbolic) Motion / (Symbolic) Action.” Burke, On Human Nature 139 71. ---. “On Catharsis, or Resolution.” The Kenyon Review 21 (1959): 337 75. ---. On Human Nature: A Gathering While Everything Flows 1967 84. Ed. William H. Rueckert and Angelo Bonadonna. Berkeley: U of California P, 2003. ---. “The Orestes Trilogy.” Burke, Essays 103 47. ---. “Othello: An Essay to Illustrate a Method.” Burke, Essays 148-86. ---. Permanence and Change. 3rd ed. Berkeley: U of California P, 1984. ---. The Philosophy of Literary Form. 3rd ed. Berkeley: U of California, 1973. ---. “The Poetic Motive.” Hudson Review 11.1 (1958): 54-63. ---. “Poetics in Particular; Language in General.” Burke, Language 25 43. ---. “Policy Made Personal: Whitman’s Verse and Prose-Salient Traits.” Burke, Essays 220-57. ---. “Questions and Answers about the Pentad.” College Composition and Communication 19 (1978): 330-35. ---. A Rhetoric of Motives. Berkeley: U of California P, 1969. ---. The Rhetoric of Religion. Berkeley: U of California P, 1961. ---. “Somnia ad Urinandum: More Thoughts on Motion and Action.” Burke, Language 344-58. ---. “Symbolism as a Realistic Mode.” Burke, On Human Nature 210-25. ---. “The Thinking of the Body.” Burke, Language 308-43. ---. “Three Definitions.” Burke, Essays 19-35. ---. Towards a Better Life. Berkeley: U of California P, 1966. ---. “The Vegetal Radicalism of Theodore Roethke.” Burke, Essays 187 219. Condit, Celeste. “Kenneth Burke and Linguistic Reflexivity: Reflections on the Scene of the Philosophy of Communication in the Twentieth Century.” Kenneth Burke and Contemporary European Thought: Rhetoric in Transition. Ed. Bernard L. Brock. Tuscaloosa: U of Alabama P, 1995. 207-62. Jay, Paul, ed. The Selected Correspondence of Kenneth Burke and Malcolm Cowley: 1915-1981. New York: Viking, 1988. Rueckert, William H. “Introduction.” Burke, Essays xi-xxi. ---. Kenneth Burke and the Drama of Human Relations. 2nd ed. Berkeley: U of California P, 1982. ---. “Kenneth Burke’s `Symbolic of Motives’ and `Poetics, Dramatistically Considered.’” Unending Conversations 99-124. ---. “Some of the Many Kenneth Burkes.” Encounters with Kenneth Burke. Urbana: U of Illinois P, 1994. 3-28. Unending Conversations: New Writings by and about Kenneth Burke. Ed. Greig Henderson and David Cratis Williams. Carbondale, IL: Southern Illinois UP, 2001. ---. “Kenneth Burke’s `Dialectic of Constitutions.’” PreText 12 (1991): 9 30. Williams, David Cratis. “Toward Rounding Out the Motivorum Trilogy: A Textual Introduction.” Unending Conversations 3-34. Wimsatt, W. K. “The Intentional Fallacy.” The Verbal Icon: Studies in the Meaning of Poetry. 3 18. Co-authored with Monroe C. Beardsley. Reprinted from Sewanee Review 54 (1946). Yeats. W. B. “The Thinking of the Body.” The Cutting of an Agate. New York: Macmillan, 1912. As Wess acknowledges, there has been a tendency to label Burke's style of writing elliptical, "collage-like," nonlinear, etc. I think, for instance, of an interesting essay by Tilly Warnock in the journal College English (the title goes something like "Ways In, Ways Out, Ways Roundabout"), and a lecture by a teacher of mine at Temple U., Dennis Smith. According to Wess, we can, perhaps, credit the "elliptical" part, but we should be wary of the collage-like and nonlinear characterizations. The Grammar and the Rhetoric were very carefully constructed, even heavily rearranged and reorganized, Wess suggests, in this piece and in his book, Kenneth Burke: Rhetoric, Subjectivity, Postmodernism. Burke was not stringing stuff together willy-nilly. (Actually, we could say the same for the Burke corpus overall. E.g., a note in Literary Form prepares us for the pentad in the Grammar, Burke's doctrine of substance in the Grammar prepares us for identification in the Rhetoric, Burke's essays on the negative in the early '50's, along with implications inherent in the pentad itself, lead directly to the terms implicit in the idea of order and the emphasis on entelechy (RR and "Human Nature Considered Dramatistically"). A major theme here, if I read Wess correctly, is that Burke attempted the same kind of magic in his dispositio for the Symbolic, but couldn't pull it off. The two subsidiary elements, the poetics and the ethics, were too interrelated and asymmetrical, it seems, for separation into two volumes, but too disparate for ready treatment together. Hence the aptness of the title of the third attempt to do justice to Burke's third entry in his Motivorum, Essays TOWARD a Symbolic of Motives. Another observation: Bob's excellent analysis, along with David C. Williams' in Unending Conversations, builds on Burke's division of this subject, as I've just noted, into "poetics" and "ethics" ("ethics" more closely related to "ethos" and "character" than to moral prescriptions per se). Burke's original title for his third "motive" book always seemed unnecessarily vague to me. The "Symbolic": How does that moniker distinguish what was to come from what Burke had already done? The notions of a specifically poetic motive and an ethical motive seem to me to tell us a lot more about what Burke was up to, as he moved toward rounding out his vast and complex project. Another thing: Do I detect a disagreement between Wess and Thames on Burke's notion of "the thinking of the body"? Wess seems to emphasize "duplication" and analogy in this matter, not so corporeal a notion; Thames, a very physical and tangible meaning to Burke's use of that phrase. Am I interpreting these two critics correctly? I have a few more comments to make, I believe. I'll save them for later. Another great foray on the part of one of the very best Burke scholars. Wess says, and he is in part quoting here, "The Grammar 'deals with a level of motivation which even wholly rival doctrines of motives must share in common,' as illustrated by the way rival doctrines of 'substance' can be derived linguistically from different pentadic choices." Yes. I said something similar years ago on the kb listserv and repeated that same thought recently. The common tendency to label Burke's dramatism/logology a "realism" (Fisher, Brockriede [I think]) or a "critical realism" (Brock) is true enough as far as it goes. But Burke's philosophy, it seems to me, operates on a higher level of abstraction, and to subsume, via the terms of the pentad, all manner of philosophic schools, as the third section of the Grammar illustrates. I point to this passage in Wess's article as confirmation. Wess defines the "poetic motive" as a degree of symbol-using for the sheer pleasure of symbol-using, "'the exercise of linguistic resources in an for themselves.'" It is found also, Wess says, in other demensions of language-use as well. Right. The poetic motive relates to Burke's treatment of "pure persuasion" in the Rhetoric, does it not? Wouldn't the poetic motive be an aspect of pure persuasion, the motivational drive inherent in linguistic facility itself, the incentive to "round out" one's terminology, follow its implications as close to "the end of the line" as possible, potentially in disregard of, or even in contravention of, practical, animalistic, biological urgings? ("Self-interference" anyone, juxtaposed in the Rhetoric with the treatment of pure persuasion?) Is not, then, the poetic motive a component in the development of our own personal "narrative," the unfolding saga of life each of us personally participates in? Are we not, as Burke suggests in P&C, all "poets" of a kind? The poetic motive seems, then, to be the locus of "entelechy." I find quite interesting, in addition, Burke's and Wess's integration of the parts of the Motivorum with Cicero's taxonomy: "inform," the Grammar; "move," the Rhetoric; "please," the Poetics; and "ethos," the Ethics. That set of relations makes Burke's project something of a gloss on, and ramification of, the thinking of the Ancients. Or it would seem. In his article, Wess raises the issue of "rationality," I do believe. Maybe more on that question later. Now, Burke is putting "rational" in quotation marks here, which might indicate he's using the term ironically. But then, he's putting "spiritual" in quotation marks, also, a less likely candidate for an ironic twist in Burke's scheme of things in general, and particularly in respect to the "poetic" motive. "Theological vocabularies of motivation are rarely 'perfectionist.' Their very stress upon ideals of absolute goodness requires them to be 'realistic' in acknowledging the vast number of ways whereby men can fall short of this ideal" (p. 99). Both of these passages require interpretation or contextualization via perspectives afforded by other parts of Burke's oeuvre. Theological vocabularies of motivation tend to be exceptionally perfectionistic, if we go by what Burke says in Permanence and Change (including "On Human Behavior Considered Dramatistically"), the Grammar, and the Rhetoric of Religion. Full religious expressions are likely to be tragic frame, Burke says in P&C, and tragic-frame thought and discourse likely give expression to perfected, entelechial, end-of-the-line conceptualizations, Burke's later works emphasize. So how are we to take Burke's assertion about theological vocabularies in the quotation above? We have to interpret it to mean that there has to be some compensation for the inevitable categorical ideals religious terminologies, particularly those of Middle Eastern and Western origin, will give expression to. I think of the Roman Catholic Church and its historically easy-going accommodations of sin and backsliding by way of the regularities of the confessional, and the Church's relatively relaxed attitude toward prostitution during the Middle Ages. Stern Protestantism tried to do away with both after the Reformation. It ran into practical pastoral problems in the 17th century and very mixed results on the sexual ethics front. So we need to put Burke in context as we read this statement in the Grammar. I was once scolded by an anonymous reviewer for emphasizing what I take as Burke's stess on the ultimate, globally irrational dimension of symbolic action. With the caveats and nuances I cite above, I think I've got Burke covered pretty accurately on this issue.